There’s plenty of work to go around at a commercial composting facility. At a time when skilled work is hard to find, that creates staffing challenges for every compost producer. Besides, workers with skill and expertise in the day-to-day tasks of an industrial composting operation are rare in any labor market. Add to these challenges the sheer difficulty of human resource planning — figuring out how many employees a business needs, who they should be, and how they can optimally contribute to the company’s core mission — and new compost manufacturers have a real conundrum on their hands. Look into the principles of Green Human Resource Management (GHRM). Composting is a green industry, and GHRM can help attract and retain employees who have convictions that drive excellent performance. Learn more about the policies and practices of GHRM here. Finding the ideal balance between staffing levels and required labor isn’t just good business; it’s also green practice. The fewer people operating your facility, the less energy your business will consume. However, low staffing levels can quickly torpedo any hope of productivity, while destroying overall morale. There’s a balance to find here. One way to keep staffing levels low without threatening morale is to provide material handling equipment that allows a single employee to safely and easily accomplish tasks that might have otherwise required a whole crew. Moving feedstock through the composting process often requires workers to lift and empty containers. Upgrading to ventilated, high-capacity bins can speed up material movement, but only when employers provide bin-dumping equipment that allows a single employee to safely lift and tip extremely heavy loads. Megadumper Hydraulic Bin Tippers and associated bins can lift and empty over 1,000 pounds. These solutions for handling bulk materials — including feedstock and finished compost — allow a single employee to move loads that would challenge a crew. This is just the sort of material that helps composters strike the balance between staffing levels and workload. Speaking of staffing levels, another challenge in the composting industry is that it’s primarily seasonal work. Feedstock loads tend to plunge in winter. The workload for commercial composters mirrors the generation of organic materials, which peaks between late spring and early fall. Material handling equipment helps to preserve the flexibility that seasonal work requires. For that reason alone, equipment usage is an important part of any human resources planning strategy for commercial composters. Ahmad, Shoeb. “Green Human Resource Management: Policies and practices.” TandFOnline. Cogent Business & Management, 2 Apr. 2015. Web. 2 Dec. 2018. “Compost Operator Guidebook.” Michigan. Michigan Recycling Coalition, Feb. 2011. PDF. 2 Dec. 2018. Khoong, C. M. “Some Optimization Models for Manpower Planning.” Information Knowledge Systems Management, vol. 1, no. 2, June 1999, p. 159. EBSCOhost, search.ebscohost.com/login.aspx?direct=true&db=afh&AN=2491073. 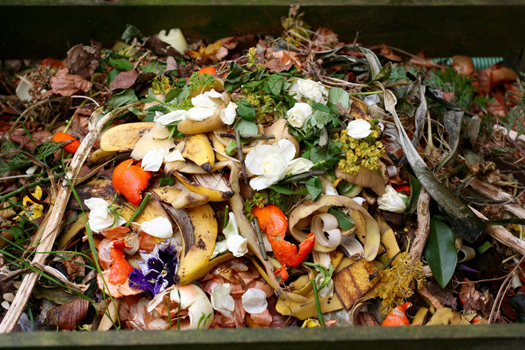 “Running a Composting Business.” CompostJunkie. CompostJunkie, 8 Dec. 2011. Web. 2 Dec. 2018.